Tuesday, November 22, 1859.Springfield, IL. 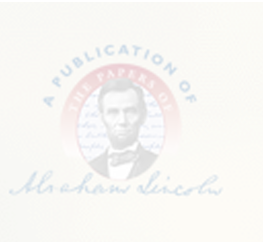 Lincoln deposits $100 in Springfield Marine & Fire Insurance Co. Marine Bank Ledger. He makes $750 loan, at 10 per cent interest, to William Cline, Sangamon County farmer, and takes mortgage as security. Receipt for Notes Left with Robert Irwin for Collection, [9? February 1861], CW, 4:188-89.